Volkswagen’s new Jetta has been on sale since last year, but the enthusiast’s choice of the compact sedan is will soon head to dealers. 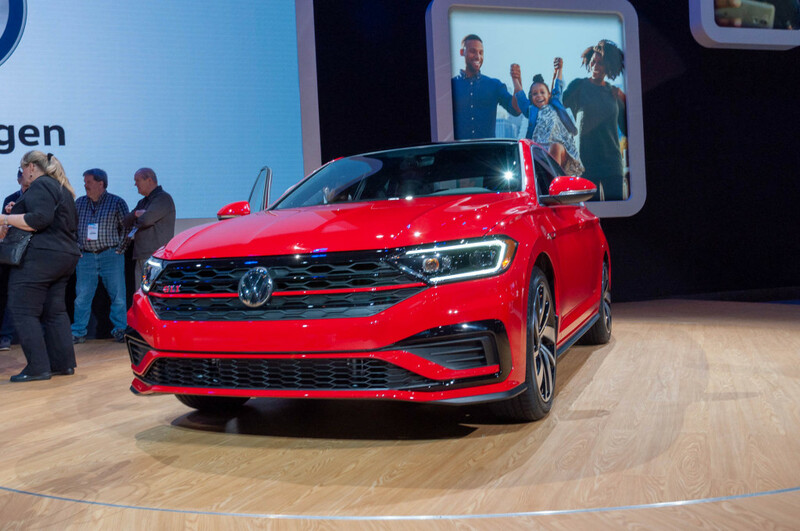 On Wednesday, VW announced prices for the 2019 Volkswagen Jetta GLI, and the sporty sedan starts at $26,890, which includes an $895 destination fee. The brand said the Jetta GLI comes in three trims: GLI S, GLI 35th Anniversary Edition, and GLI Autobahn. Of course, prices climb with the trims. The 35th Anniversary Edition costs $27,890 and the range-topping Autobahn trim will set buyers back $30,090. Every GLI features the Golf GTI’s powerplant: a 2.0-liter turbo-4 that produces 228 horsepower and 258 pound-feet of torque. Compared to the previous Jetta GLI, output is up 18 hp and 41 lb-ft of torque. A 6-speed manual transmission is standard, though VW offers a 7-speed dual-clutch automatic as an $800 option. 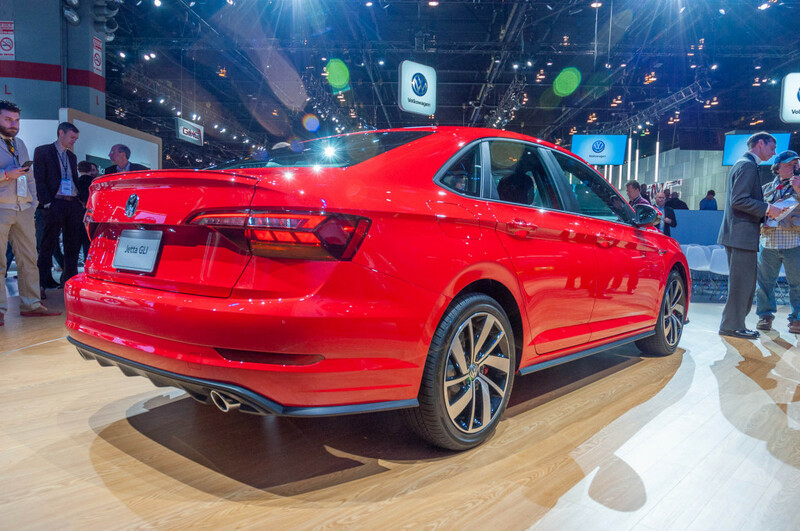 Every GLI also gets a sport suspension with a 0.6-inch lower ride height and 18-inch aluminum wheels. The GLI S also has LED headlights and taillights and a few sporty accents on the exterior such as the honeycomb grille with a red accent line, dual exhaust outlets, and a rear diffuser. Inside, the GLI S has heated cloth sport seats with red contrast piping and stitching up front, a leather-wrapped steering wheel, keyless entry with push-button start, dual-zone climate control, a 6.5-inch touchscreen for infotainment functions, Apple CarPlay and Android Auto compatibility, automatic headlights, and rain-sensing wipers. A standard suite of active safety features includes forward-collision warnings with automatic emergency braking, blind-spot monitors, and rear cross-traffic alerts. Buyers who move up to the 35th Anniversary Edition trim get a few special touches. On the outside, the 18-inch wheels are finished in dark gray with red rim accents, and the roof is finished in black. Different mirror caps and a rear spoiler are standard, too. Of course, “35th Anniversary Edition” badges are present throughout the exterior and interior; they find their way to places such as the seat tags, floor mats, and exterior fenders. VW’s DCC adaptive dampers are also standard, and optional on the GLI S.
For models without the DCC system, drivers can select from Normal, Sport, Eco, and Custom driving modes. The DCC system adds a fifth option for Comfort. The Jetta GLI Autobahn trim packs all the goodies into the compact sport sedan. 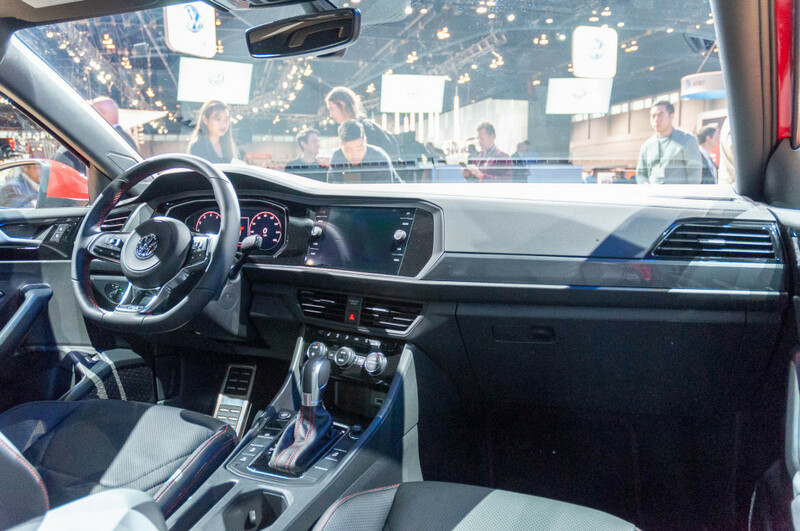 It’s the choice of technophiles, as it includes VW’s 10.25-inch digital instrument cluster, an 8.0-inch center touchscreen, remote starting, a Beats audio system, Car-Net remote vehicle services, and a power driver’s seat with memory. The cloth seats are also swapped for cooled leather seats, and a panoramic sunroof is standard to let in the light. The Jetta GLI’s most direct rival will no doubt be the Honda Civic Si sedan, and they’re priced for competitive cross-shopping. The Civic Si starts at $25,220, though it’s down on power with just 205 hp and 192 lb-ft of torque. Look for the new Jetta GLI at dealers this spring.